It contains 3 layouts such as Fullwidth, Left Sidebar and Right Sidebar. This layout setting is similar to Blog, Archives, Single Blog and Search Page. For accessing the blog layout, You can do so by simply navigating to the Appearance > Theme Options > Blog. Full Width: The fullwidth layout is the default layout for the theme and it displays your content with a white background through out. Left Sidebar/Right Sidebar: Both layout occupies two third part of left/right widget area. 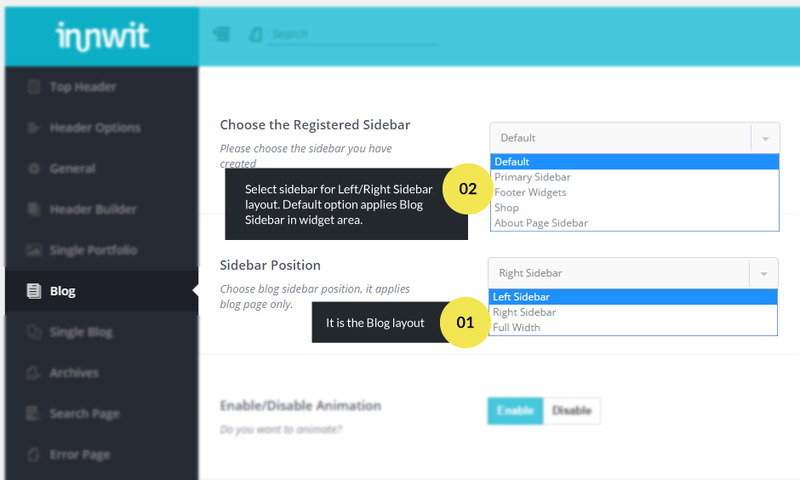 Above Choose the Register Sidebar option helps you to change sidebar for particular page. Default sidebar is Blog Sidebar in widget area ( Appearance > Widgets ).